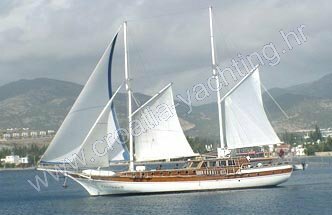 Wooden ketch,constructed in 1997. in Turkey, reconstructed during 2003 in Croatia. All sails and rigging are functional. Covered aft deck with dining area and lot of cushions on sunbathing area. Safe deck areas with high bulwarks around the sides.